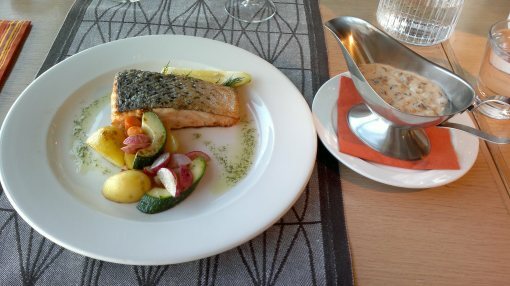 What fish to order in Finland? Sometimes it might be difficult to order local dishes if you have not tried them before. Meat dishes are easier because cow, pork or lamb are quite similar in each country. When it comes to fish there are more differences, therefore decided to summarize own TOP 5 favourites and one local shellfish. 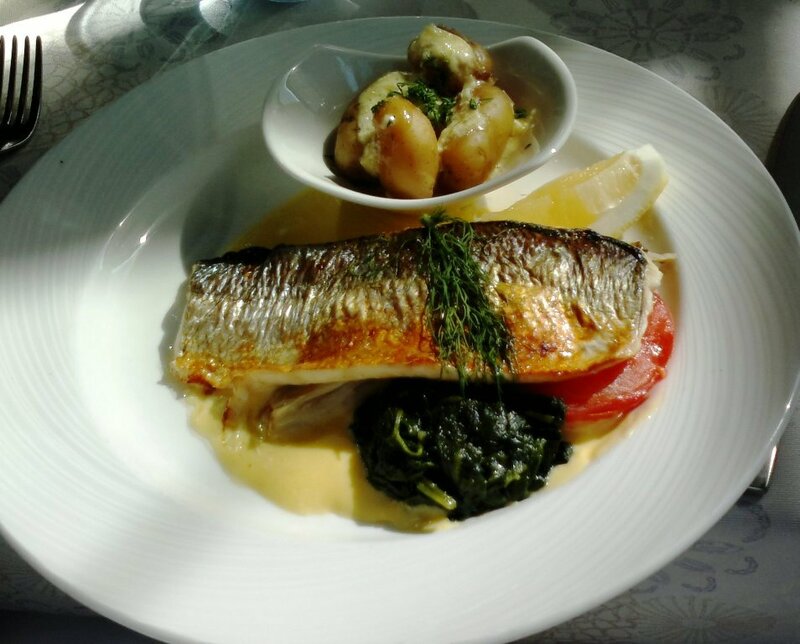 Whitefish or sometimes lavaret is number one favourite. If it is available in the restaurant, order it. For starter marinated whitefish is excellent choice, better than marinated salmon. For main course either roasted or fried, this non greasy white colored fish is delicious if properly prepared. It might be over roasted but fish restaurants know what they do. Whitefish roe is also tasty and again better than rainbow trout’s. Restaurants like Teatterin Grilli and Salutorget serve excellent portions. In Kappeli fish was over grilled at least when dined on 13 th July. 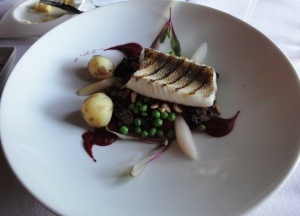 Pike perch is one of the most expensive Finnish fishes. Meat is white and soft and tastes best when it is roasted or fried. Pike perch even suits for preparing sushi because it can be quite big fish. 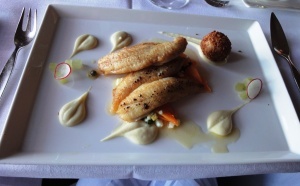 Pike perch will be familiar to you if you have eaten Mediterranean white meated bigger fisheses, like sea bass. Pictures are from restaurants Havis and Kielo. 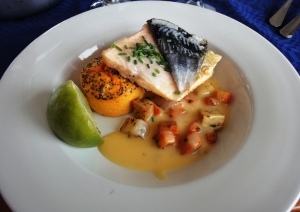 Havis focuses on sea food as well as Fishmarket. Perch is most common fish in Finland and also our national fish. Meat is white and tasty. Main issue is amount of small fishbones. But if you are in a restaurant which can prepare perch properly it is worth to order, e.g in restaurants Havis and Blue Peter (pictures). Meat of perch looks like meat of small sea bass. 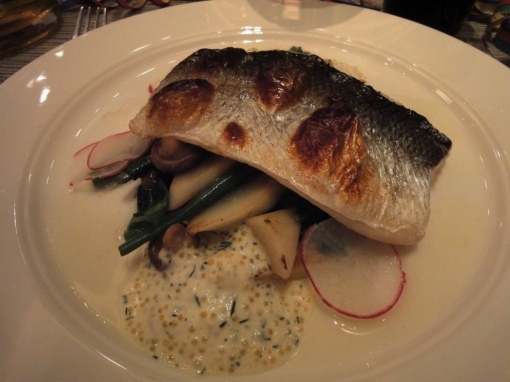 Arctic char is close to rainbow trout or even salmon. Meat is very lightly reddish and and little bit greasy. 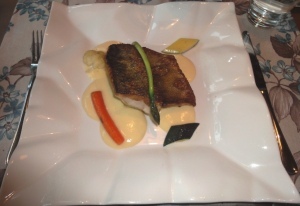 It is very popular and affordable fish and very often available in most restaurants. Main issue is over roasting but again good restaurants know how to prepare it. Pictures are from restaurants Gastone and Royal Line cruise boat. 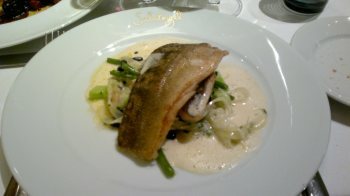 If you see rainbow trout in a la carte list suggest to order it. 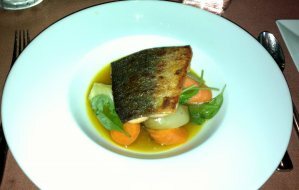 It is quite rare and mostly restaurants offer salmon which is available in many coutries. Meat of rainbow trout is light red and greasy but not as greasy as salmon. Both can be prepared as roasted, fried but also baked in oven. 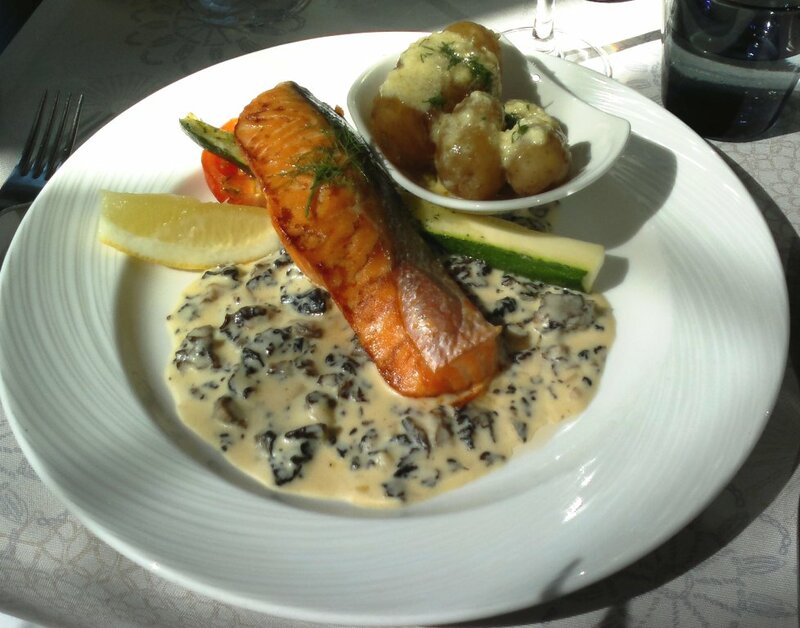 It is quite common to serve salmon with morel sauce as Kappeli does. Unfortunately have only pictures of salmon. 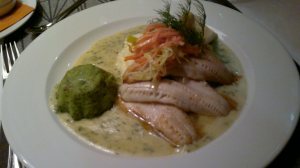 There are also some regional fish dishes which you might be able to see also in Helsinki. For instance Vendace (Muikku) is delicious even without side dishes if fried in salty butter. Mostly sold at market squares but also available in some traditional restaurants. Burbot (Made) is sometimes used in soups. Be curious and order someting else than salmon or frozen imported fish. If you visit Finland between 21st July and end of October, you must try crayfish (crawfish, spiny lobster), most popular shellfish in Finland. 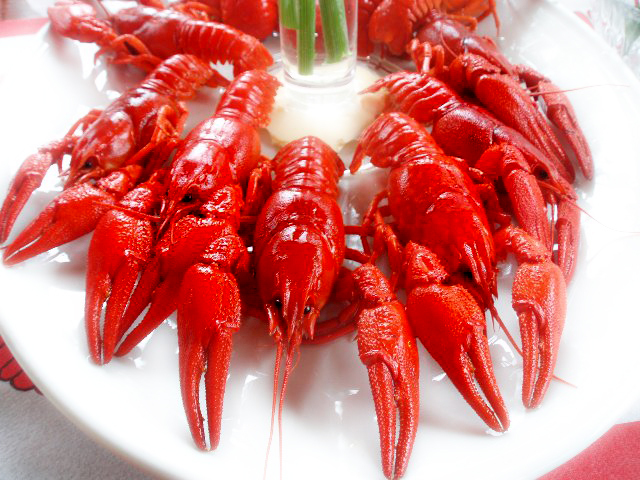 Many restaurants have crayfish menu’s. Although they are expensive, escpecially signal crayfishes, which have been imported from North America to Finland in 1960’s, you can also order them as a starter (usually 5-6) and enjoy hilarious athmosphere. If crayfish is really cheap make sure it is Finnish, it might have been imported as frozen.